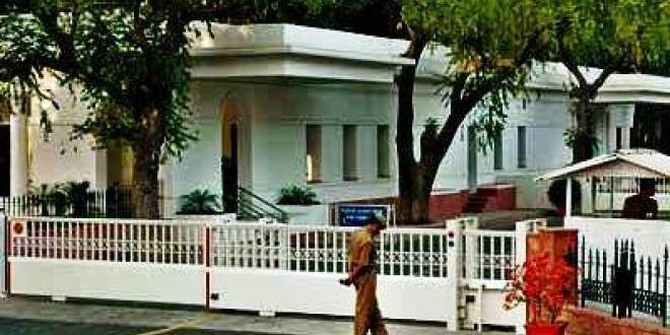 Denial of information to Paragkumar Ashokkumar Patel, the Gujarat citizen who under the right to information (RTI) Act wanted the Prime Minister's Office (PMO) to tell him the dates of top Indian tycoon Gautam Adani's visit to Prime Minister Narendra Modi's residence, is all set to turn into full blown controversy. Patel has decided not to take things lying down, and has gone into an appeal saying that the denial runs counter to the RTI Act, alleging the PMO's Central Public Information Officer (CPIO) has done it under "pressure" from Modi. Filing his appeal before the appellate authority of the PMO under section 19 if the RTI Act, Patel is reported to have said that the CPIO has denied information to him regarding Adani's visit at 7 Race Course Road (RCR) citing section 8(1) and section 11. "In doing so, CPIO has done gross error and it appears it has been done under instructions of the Prime Minister. The CPIO is a government servant and has to work without any influence of any elected official", he has alleged. Patel's appeal, posted by a political activist from Ahmedabad, Roshan Shah on his Facebook page, says that "the information I requested is on Gautam Adani's visit to 7 RCR", adding, "7 RCR property is totally managed by public funds and the Prime Minister is also taking salary from public funds." The appeal insists, citing section 8(1)(j) of the RTI Act is particularly erroneious, because it "clearly states that if any information is of the nature that is is to be disclosed in Parliament, it has to be disclosed to general public." Patel's appeal says, "I have not asked information of any trade secret, any foreign state or meeting with foreign official nor any matter related to ongoing investigation nor any matter prohibited by court of law." Claiming that Gautam Adani has debt of over Rs 72,000 crore, which is "public money in Indian banks", Patel goes on to state, "It is clear that my RTI request is of larger general public interest and CPIO has without application of mind cited 8(1) while denying the information." Taking a dig at the CPIO, Patel says, "If the learned CPIO has undertaken RTI training and studied the RTI Act, he should have cited specific subsection under which the information was denied. Not doing so proves that CPIO has acted under political influence in denying information to me." As for applying section 11 of the RTI Act was concerned, Patel says, it "does not apply" because he had "not asked any trade secret of Adani", and had only asked "about visits at 7 RCR." Besides, he adds, "Whenever information is denied under Section 11, the applicant needs to be informed that third party is notified to give consent to share information. No such submission is done by CPIO in the RTI response to me." Commenting on the CPIO as an IAS officer, Patel says, IAS officers "are supposed to follow rule book and provisions of Acts properly. They are topmost breed of civil servants and overseeing affairs of PMO. If PMO CPIO himself has wrongly interpreted RTI, this sends wrong signals to other CPIOs across India." Based on this, he has requested the PMO's Appellate Authority to direct the CPIO to provide him the information he had sought "free of cost", direct the CIPO to "clarify" stating exact sections and clause of the section under which the RTI information was denied, and "immediately levy penalty on the CPIO" and inform him of about it. Patel in his plea also asked the Appellate Authority to "pass a remark" on the CPIO service record for acting against law, and "conduct departmental inquiry" in the matter on why RTI Act 2005 law was "arbitrarily applied here, exceeding the rules and without applying mind."